I met Russ accidentally a few years a go and we found we had a lot in common. 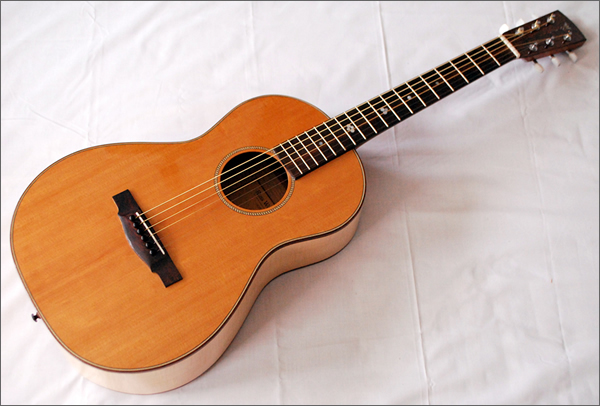 Not least that he makes fabulous smaller-bodied acoustic guitars with classical style-neck joins that make the instruments much more responsive to picking dynamics. They have rosewood fingerboards and the necks are reinforced with non-adjustable steel t-profile bars. He offers larger and more ornate models, but I prefer the very sparsely-styled ones. 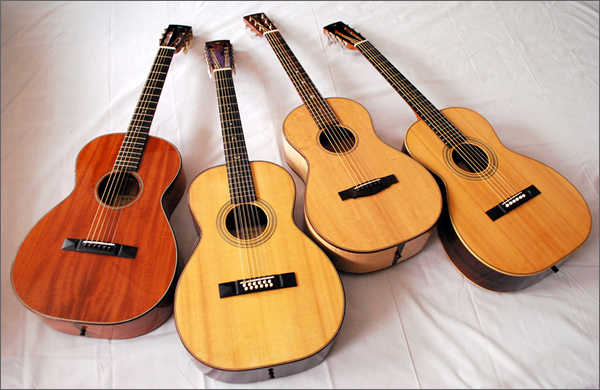 I have four so far – my original spruce and rosewood S12 model; a matching 12-string, the only 12-string he’s made and the source of much greying of hair; an all-mahogany S12 model and the even smaller spruce and maple parlour model, again his only one so far. 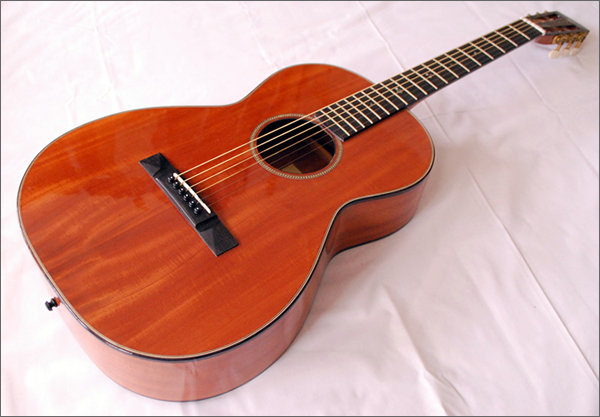 They all electrify well with a Fishman soundhole pickup and record well, especially the all-mahogany one. All are as new with Hiscox fitted hard cases, though I house the mahogany one in the case which my Guild M20 arrived in as fits and looks great. Russ is truly a hidden treasure. I beg to differ. 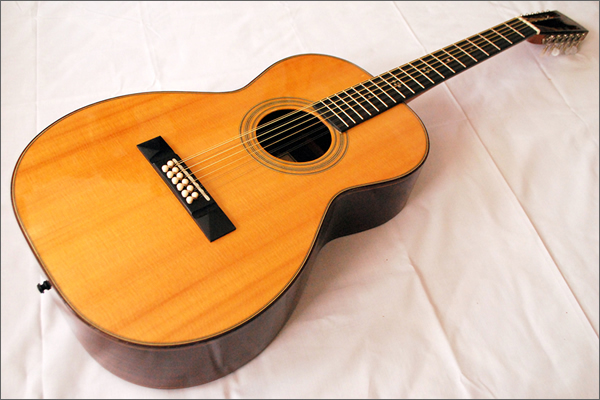 My Russ Wooton guitar which I paid 1200 quid for was not supported on the neck and I have never really played it. I was very new to guitars and was encouraged to go to Russ’s house and choose one by someone who supposedly knew lots.. I have since tried to find Russ to see if it is posdible to take the neck off and put a steel support in. He seems to have moved house and phone number so there we are. 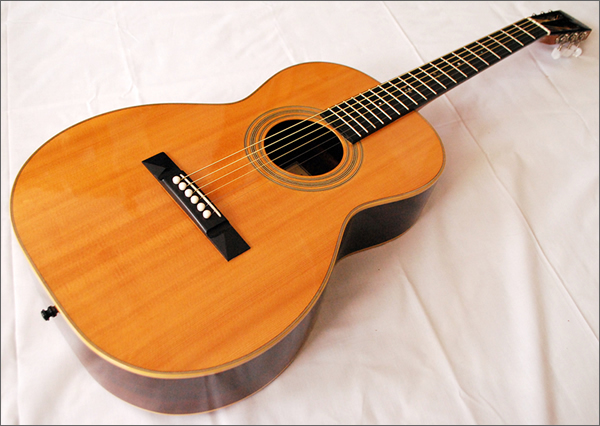 One smart looking guitar which noone wants to play! A sad tale n’est pas? Sorry to hear that. I will forward your comment to Russ in case he wants to make contact with you and resolve this. (I assume the email you responded from is current and that you monitor the inbox reasonably frequently).